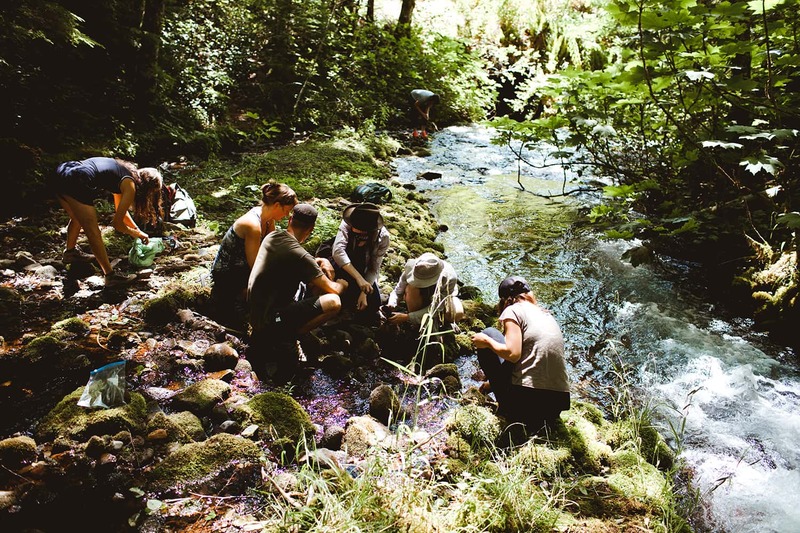 WildCraft offers a seasonal program of workshops that teach traditional practices of wild foods foraging and herbal medicine, with a focus on cultivating sustainable relationships with landscape through a richer understanding of ethnobotany, geology, and habitat. These workshops utilize the rich and varied landscapes of the Pacific Northwest as sites of learning. Whether at the Oregon Coast harvesting edible seaweed, in the forests of Mt. Hood learning about medicinal herbs, or walking the streets of Portland exploring urban dye plants, WildCraft’s Land-Based workshops provide opportunities for people to understand the landscapes of our region through the lens of sustainable harvest, traditional, and medicinal uses of plants.